• At 12:22 a.m. on March 28, during a traffic stop around U.S. 22 East and Melvin Road in Wilmington for a brake light violation, deputies discovered suspected narcotics. According to the report, a 32-year-old Grove City male was placed into custody due to having a probation violation warrant. Deputies asked a 35-year-old Greenfield female to step out of the vehicle; deputies noted she was walking “very strange as if she was attempting to keep her thighs together.” She told deputies she wasn’t concealing anything. A female Wilmington Police officer was dispatched to assist and perform a pat down. The officer discovered three hypodermic needles and a spoon concealed in the female’s underwear. Authorities later recovered 29 empty caps, 11 caps containing a powder substance and three cell phones. Deputies also located over $800 worth of items — after taxes — that the female stated was stolen earlier that day from a store in Washington Court House. • Sheriff’s deputies arrested a 38-year-old Hillsboro male for allegedly receiving stolen property after pulling over a vehicle for having no front license plate around Progress Way at 12:01 a.m. on April 1. The arrest was made after dispatch informed the deputy of an active warrant out of Pike County. Dispatch later informed the deputy that the vehicle the suspect was driving was reported stolen out of Ross County on March 31. 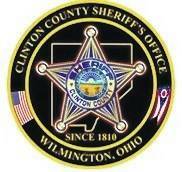 • At 2:28 p.m. on March 29, deputies responded to a residence on Shull Road in Blanchester on a burglary report. The report lists a Galaxy J3 cell phone as being stolen from a 54-year-old male resident.